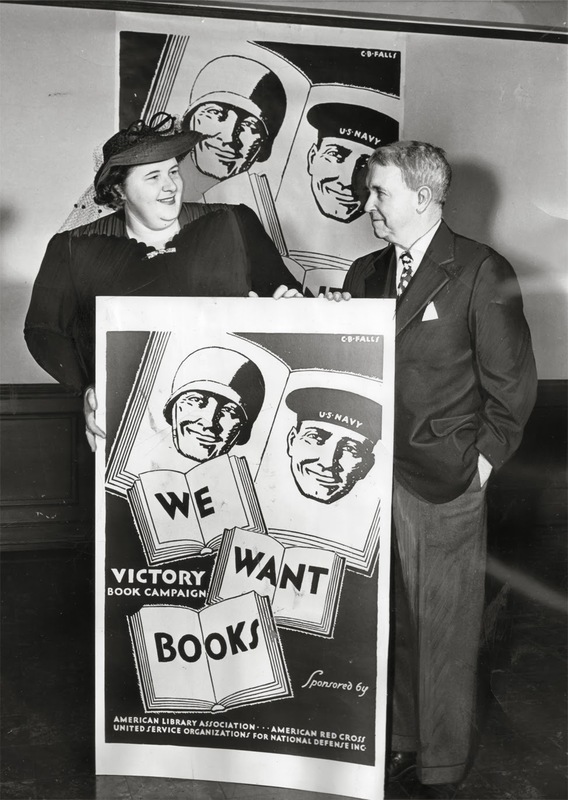 "Kate Smith, honorary chairman of the radio board of the Victory Book Campaign with the nationally known illustrator C. B. Falls, who designed the official poster. Mr. Falls also designed the official poster for the book drive during the last world war." —original photo caption from January, 1943. Photo from my collection. To design their official Victory Book Campaign poster of 1943, organizers hired an accomplished illustrator and poster artist, Charles Buckles Falls (1874–1960). C. B. Falls’ poster design for the Victory Book Campaign in World War II. C. B. Falls was fond of woodblock prints, which this 3-color VBC poster appears to be. He didn’t trust the wood carving skills of printing shops, so he cut the blocks himself. I think he came up with a fun and engaging poster. The lettering is all hand-done. His rendering of the GI’s M1 helmet doesn't look right, but I'll admit those curves are hard to draw. He signed this poster with his initials and full last name, but his work was often signed with a simple “F” in a box. Falls began designing posters around 1910. His first clients were theaters in New York City. During the First World War he volunteered for the Division of Pictoral Publicity, which was part of a government propaganda agency known as the Committee on Public Information. 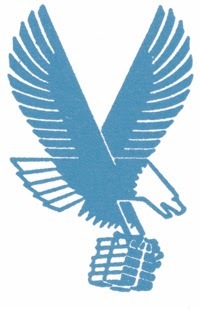 Falls joined their group of artists who produced graphics for the government and civilian organizations during the war. C. B. 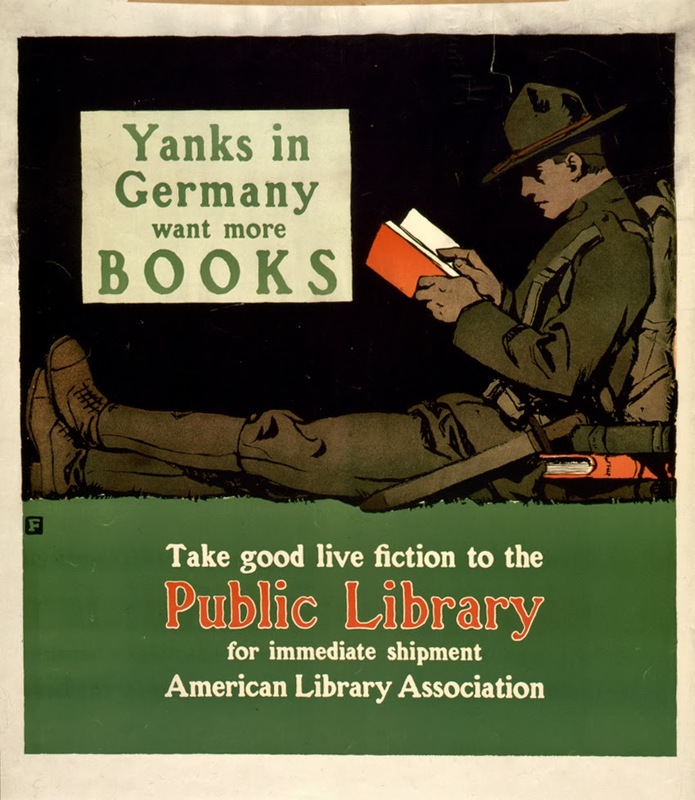 Fall's poster design for the American Library Association's book drive in WWI. 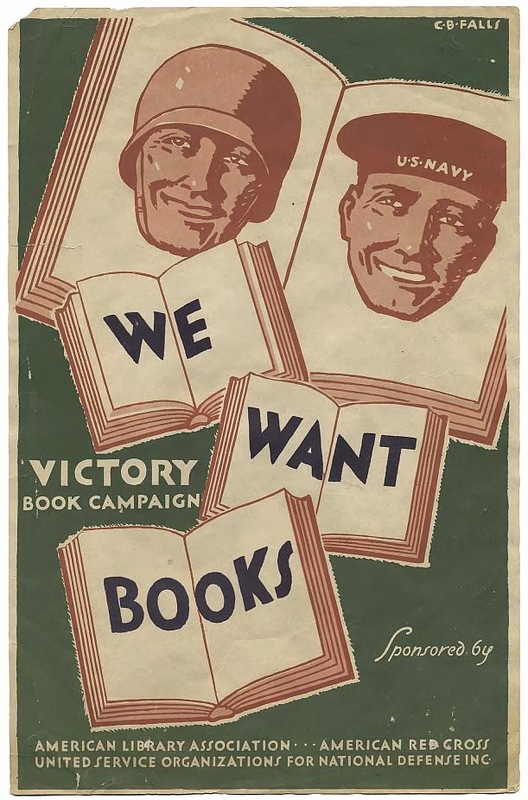 The most circulated poster of the war was Fall’s design of a smiling Marine holding a stack of books urging the American public to give books to the troops. A miniature version with different text was pasted into the books donated to the military. This poster was commissioned by the the American Library Association, and its success lead to the ALA (then co-sponsoring the Victory Book Campaign) approaching him again during WWII. The image is still popular today. It’s often shared by book lovers online, and at the Last Book Store in Los Angeles I recently saw a sculpture based on his poster. At the end of WWI Falls continued to design recruitment posters for the Navy and Marines, and he taught art lessons to disabled veterans. 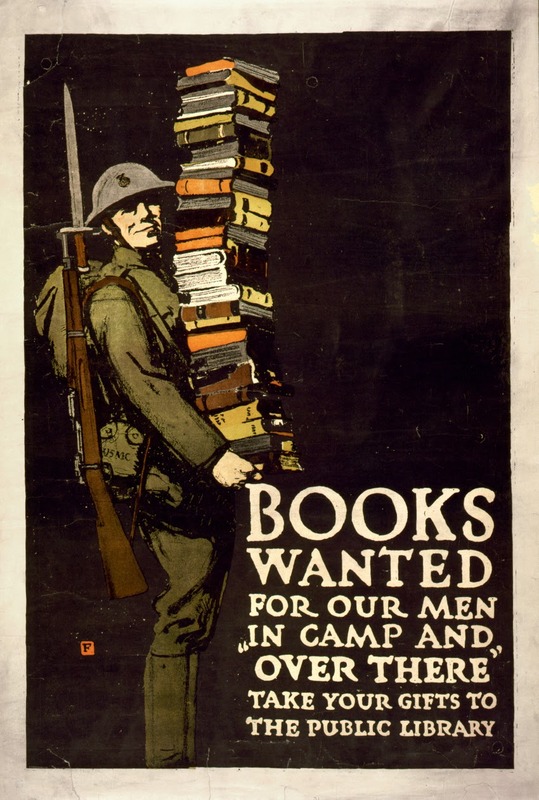 Another book drive poster for WWI. Falls worked on book design early in his career. After leaving his home state of Indiana, he got a job with the Decorative Designers in New York City. 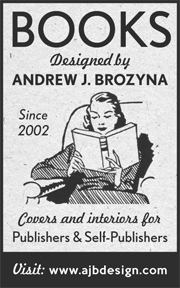 This firm created designs to decorate the cloth bindings of books in the days before designed dustjackets were common. After two years with the firm Falls left to became a freelance artist (sometime around 1903). 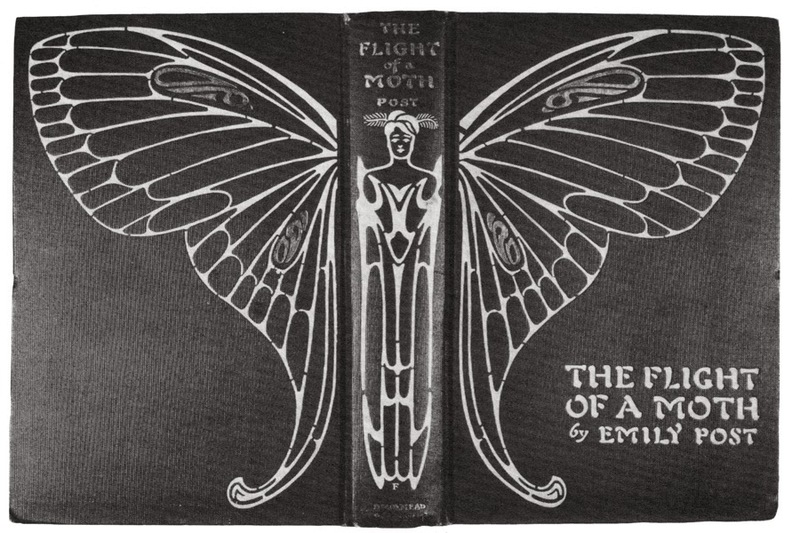 A black and white photo of Falls’ case stamp design for the binding of The Flight of a Moth, 1904. 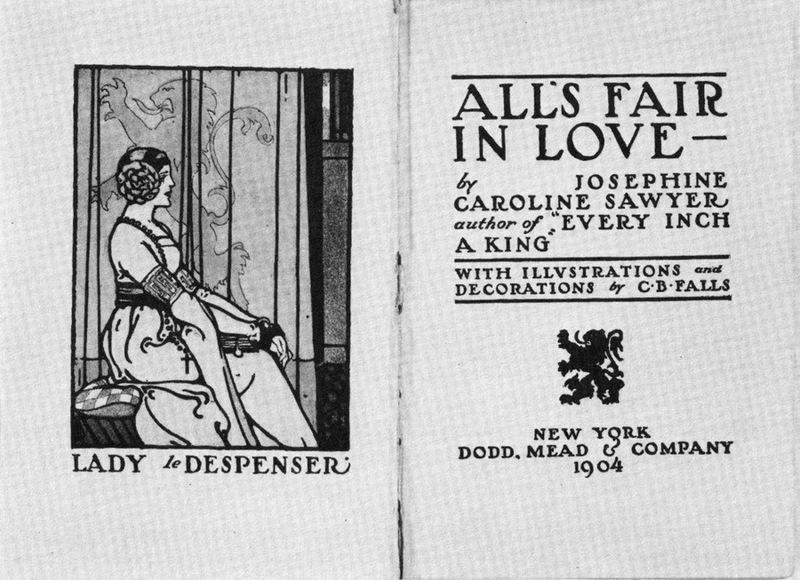 Illustration and title page for All's Fair in Love, 1904. 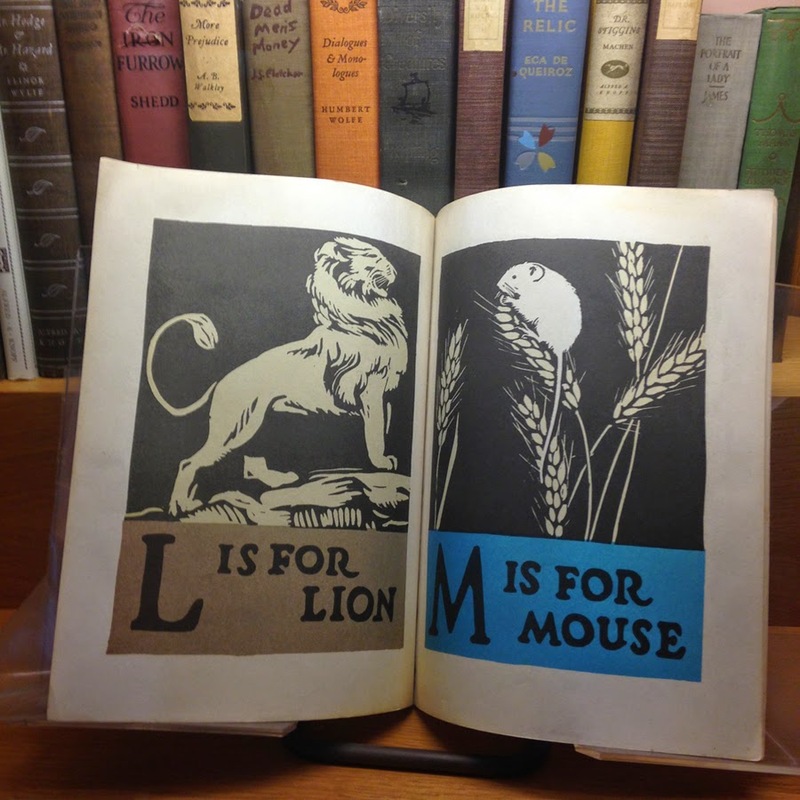 His work on books expanded to include interior illustrations, endpapers, and title pages. Most of this work was for children's books, school texts, and history books. 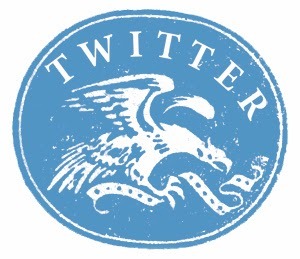 He was often commissioned to illustrate bookplates for individual book collectors. His woodcut and his pen illustrations appeared on magazine covers and their interiors. Falls continued illustrating books and book jackets until his death in 1960 (at age 86). ABC Book by C. B. Falls (1923) on display in the Random House office lobby in NY. 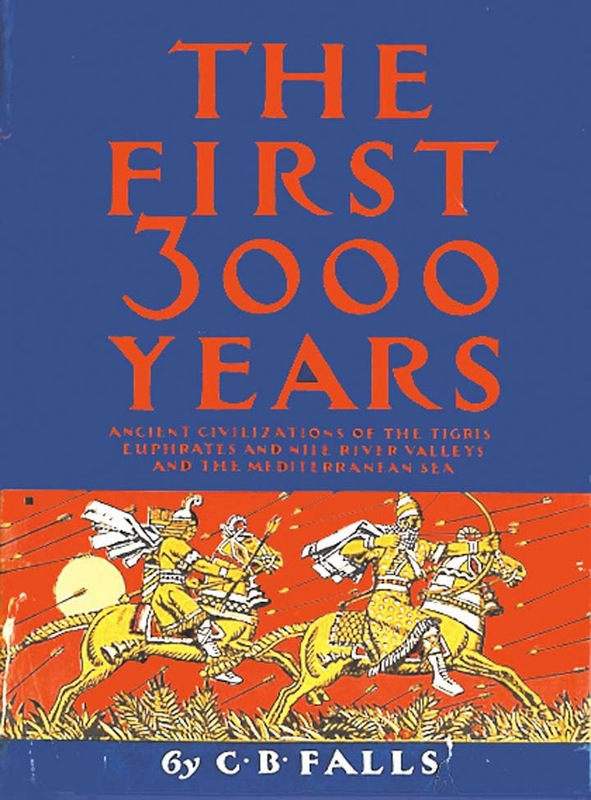 The First 3,000 Years book jacket lettering and design by C. B. Falls. Viking, 1960. A collection of Falls’ sketches, scrapbooks, and printed samples is held at the Chapin Library at Williams College. The Library of Congress has a collection of some of Fall's posters. The Graphic Art of C. B. Falls: An Introduction. Chapin Library Williams College, 1982. This was a booklet published to go along with an exhibition of Fall's work held in 1982.